For 13 seasons now, Supernatural has consistently delivered an ever-changing lineup of supernatural (a-no-a-duh) boogeymen, from the most predictable (vengeful ghosts! werewolves!) to the head-scratching (the senile psychokinetic who is always watching cartoons, for starters). 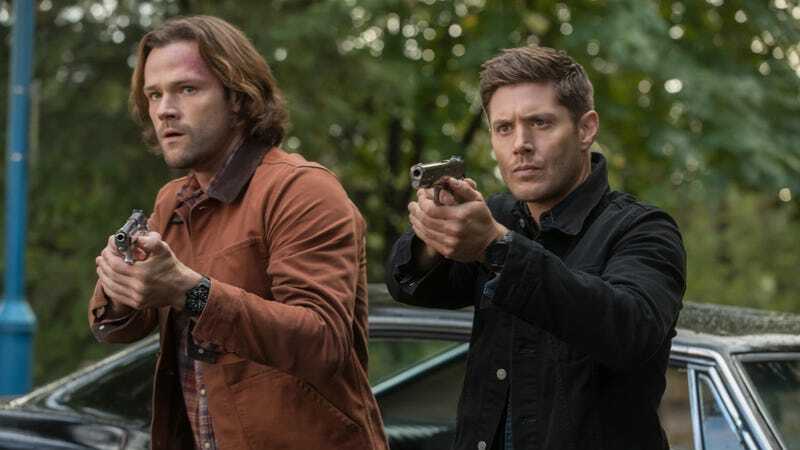 Through it all, there have only been two consistent aspects to the horror: 1) Jensen Ackles and Jared Padalecki’s monster-fighting brothers, and 2) Someone, somewhere, is going to die every damn episode. Oh—and creatures. Lots and lots of creatures. Last night, Supernatural aired its second attempt at a backdoor pilot for a spinoff (the first, about monster families we’d never met before, flat-out sucked). This new one—precursor to the series Wayward Sisters—was vastly more successful simply by dint of having leads we already know and are invested in, albeit some characters more than others. As part of a promotional push and “go get ‘em” encouragement, Supernatural creator Eric Kripke tweeted out a massive list he wrote up way back when he was developing the flagship series. It’s a nice bit of fan service for longtime viewers (who will recognize the majority of concepts here as having been used), but more importantly, it’s a helpful reminder just how ridiculous the concept of creating a TV show is in the first place. “Here, think of a bunch of monsters” is something that can make you very wealthy. As we noted, many of these were already used by Supernatural, which is only surprising if you forget it’s been on the air going on 14 years now. From the town where everyone is a medium to the Jersey devil to spirit photography, there’s a lengthy “mission accomplished” list here. But we’re fully on board with Kripke’s exhorting the new spinoff to take any remaining ideas. A sea serpent killing scuba divers? Frankly, we’re a little disappointed Supernatural didn’t take advantage of the comedic possibilities of Jensen Ackles in a wetsuit. We’ve said it before and we’ll say it again—that man is bulletproof.